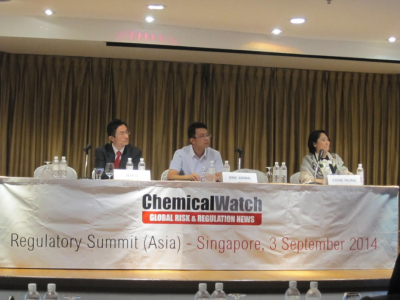 Mr. Eric Xiong, the manager of industrial chemical sectors of CIRS, was invited to participate Regulatory Summit – ASIA held by Chemical Watch on 3rd September, Singapore, and delivered a speech on the theme of the Progress of Asian Chemical Regulations. His address, surrounding the subject of new updates regarding chemical regulations in China and Taiwan, caused strong resonance in the venue. 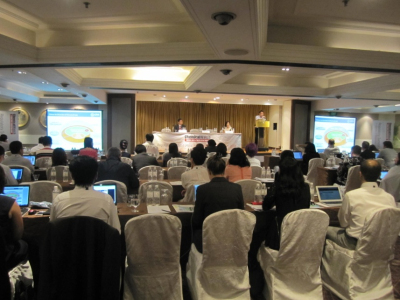 There were about 1 hundred delegates from 16 countries and areas attending the summit, including the EHS and regulatory principles from some well-known international chemical corporations. The summit, held by Chemical Watch, focused on the implementation and latest development of chemical regulations in China, Taiwan, Korea, Malaysia, Singapore and Japan together with India, the U.S. and the EU areas, with the aim of promoting global chemical safety. Meanwhile, an in-depth Q&A panel discussion on regulatory updates and influences it may cause to enterprises, was also acclaimed by attendants. CIRS is now the biggest chemical compliance services institution in China and it has experienced professional team and expertise. Being the only invited addressor from China demonstrates that CIRS has gained the highly ratification from other countries and enjoyed great popularity in government sectors and guild.